George "The Animal" Steele Wednesday !!! The legend George "The Animal" Steele joins the show LIVE this Wednesday opening up at 8PM EST. Leave your questions now for George on the IYH Message board !!! Tonight was a Presidential IYH. IYH President Clinton and Oneinchbiceps ran down the week in wrestling starting with the most important shows WWE Smackdown and TNA Impact. After the main events we went on to Raw 1000th show took some calls and had a good time. 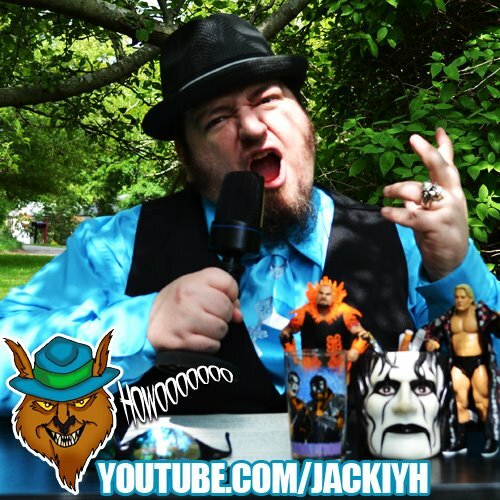 Is this a new era for IYH will Jack ever return to the show! Has Jack accepted defeat that the Big Blue Cage is better then the jingle bells fence? You'll have to listen to find out! Listen to IYH or be square! Los Gringos Jack & OIB returned with all of the news and views of the week !!! Then Jack and Incher took over for the usual IYH madness !!! We opened the show with Luke Hawx of Extreme Rising !!! Then Jack and OIB went over RAW, Impact, No Way Out, ROH and tons of madness !!! George South returned for an over 3 hour interview including a surprise call in by New Jack !?! Jack and Incher then took calls for a massive over 5 hour edition of IYH !! !